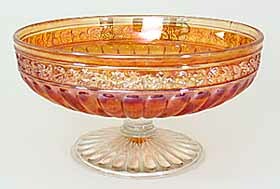 Berry Band and Ribs is logically named for the band of berries with ribs around the pieces. 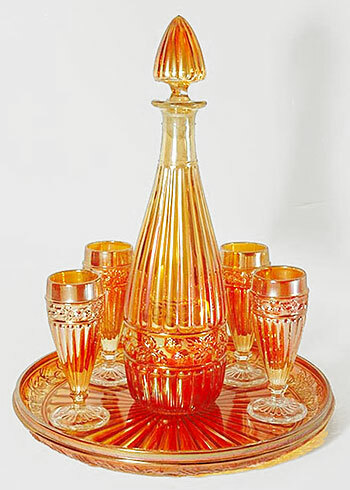 They were made by the Argentine firm of Cristolerias Piccardo. 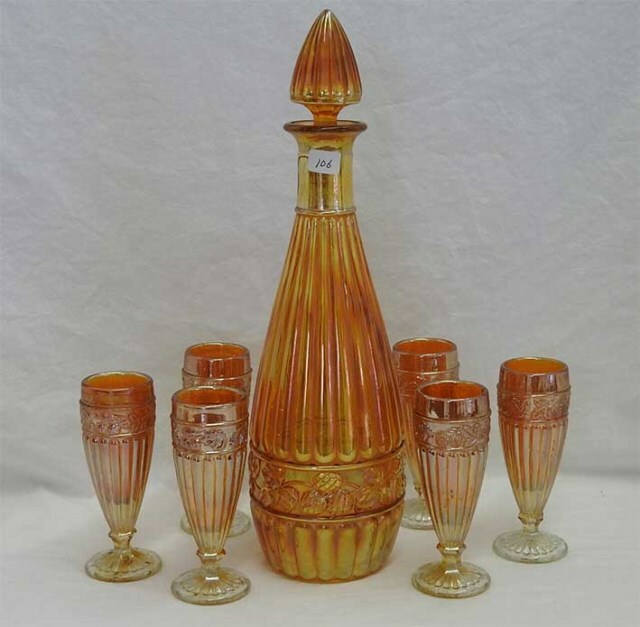 The cordial set on the left with the tumbler-shaped glasses was photographed while in the collection of the late John Britt and, although he referred to it as Berry Band and Ribs, it is most likely a set called Fruit Band. 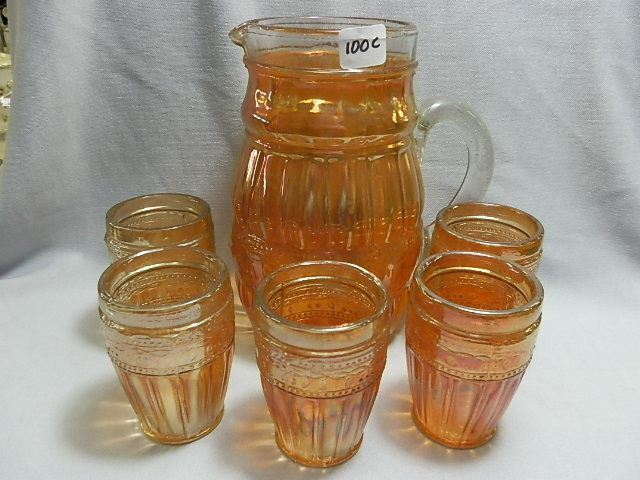 The set on the right with the undertray sold for $500 in 1994. 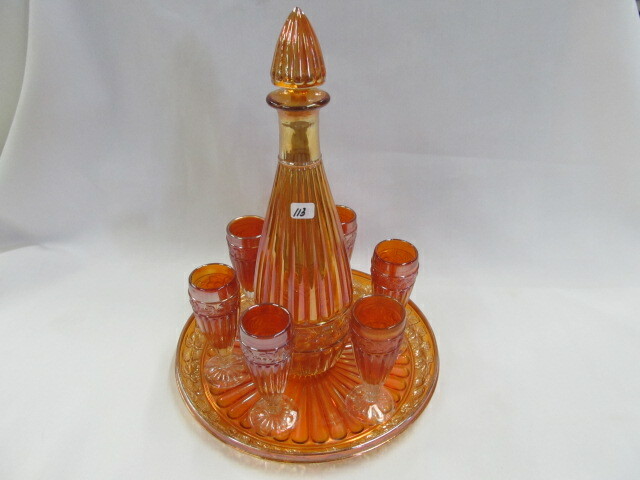 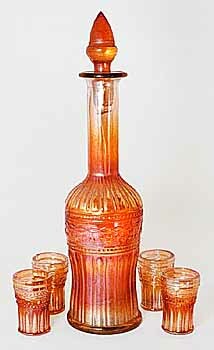 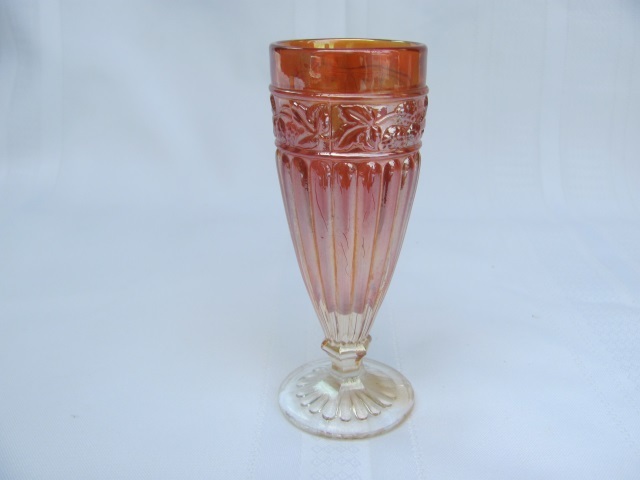 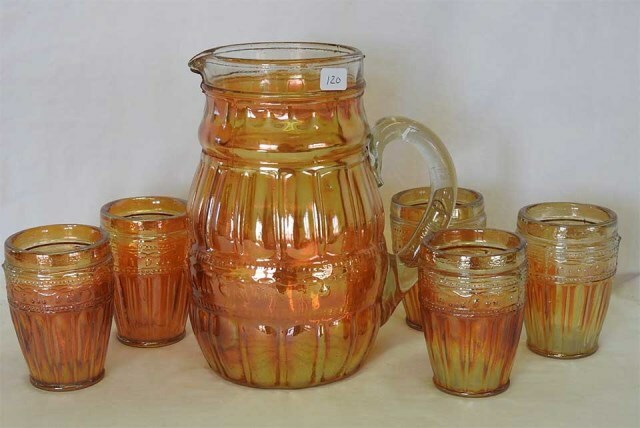 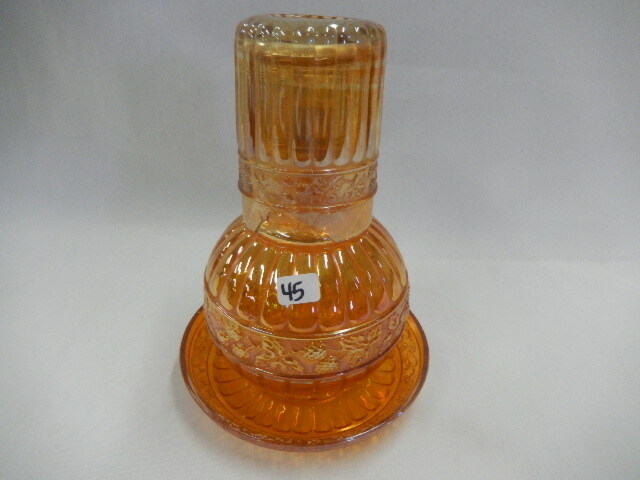 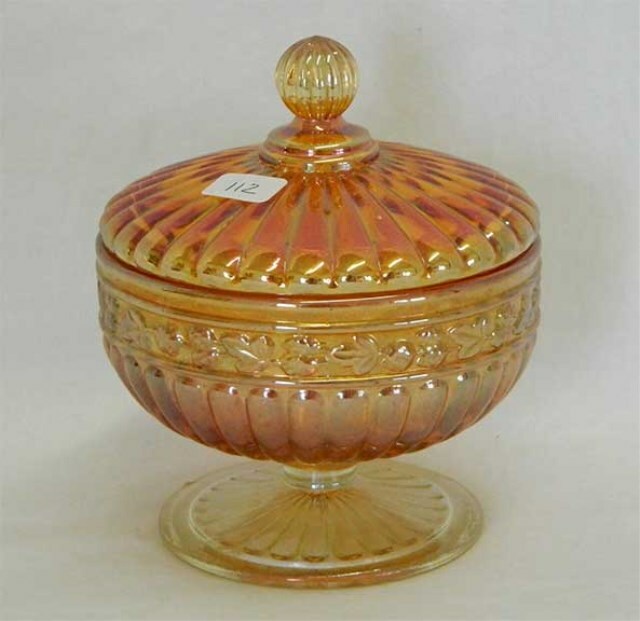 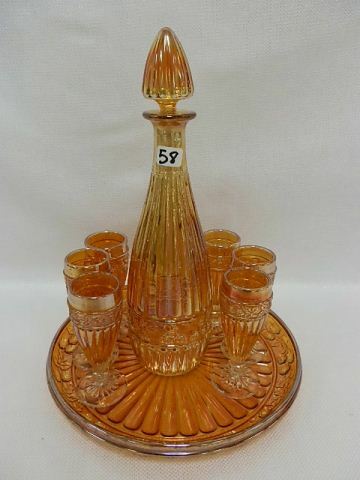 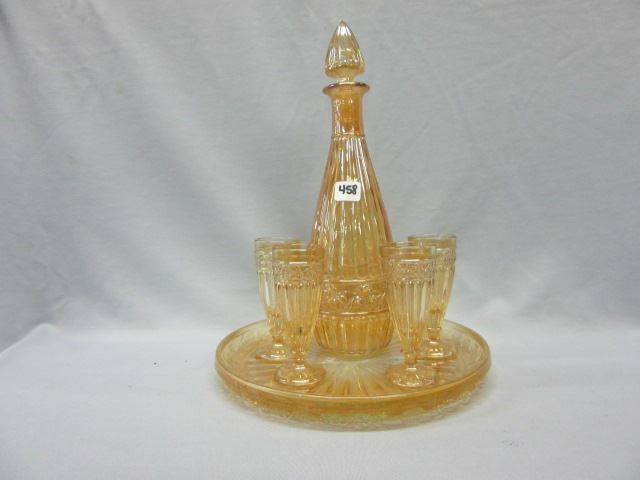 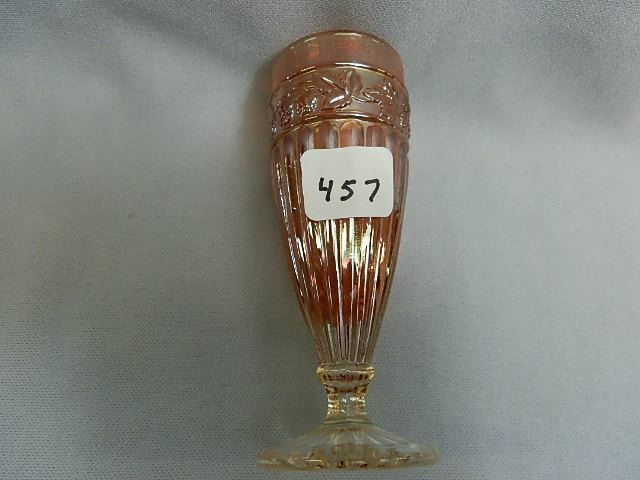 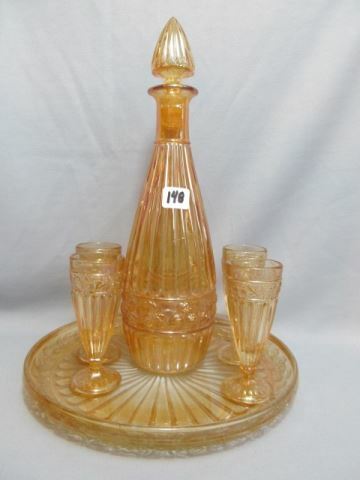 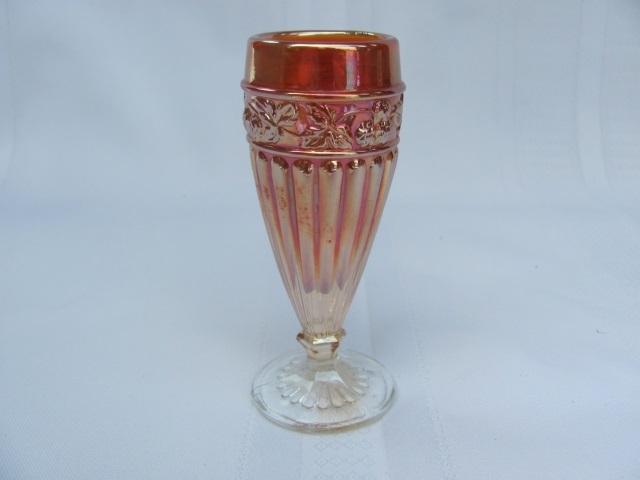 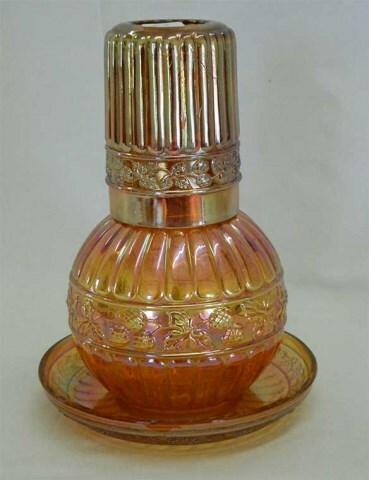 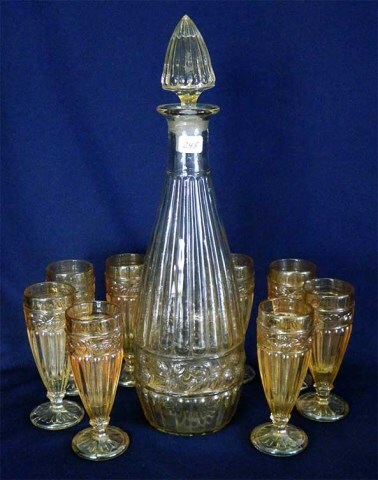 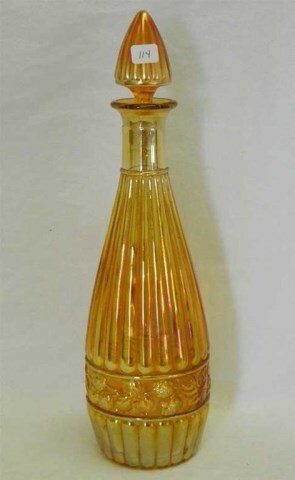 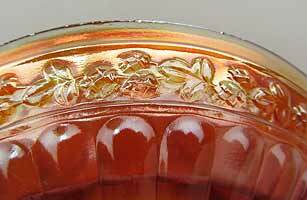 Shown above are a compote that sold in 2003 for $15 (another sold on eBay in 2004 for $40). 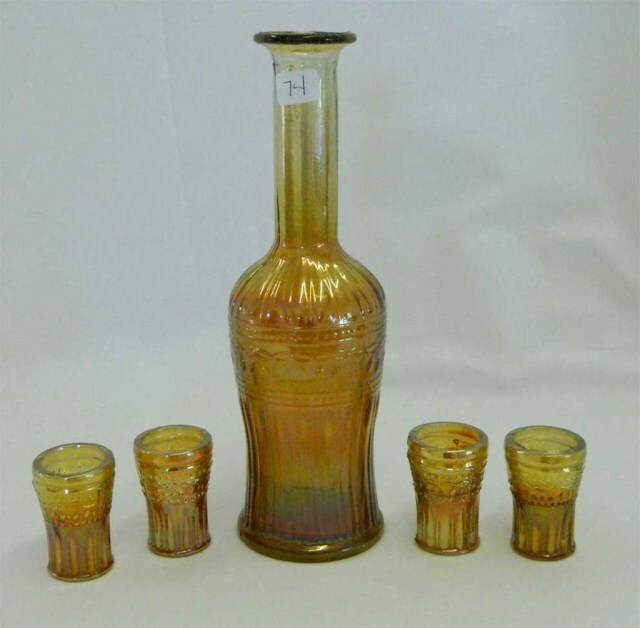 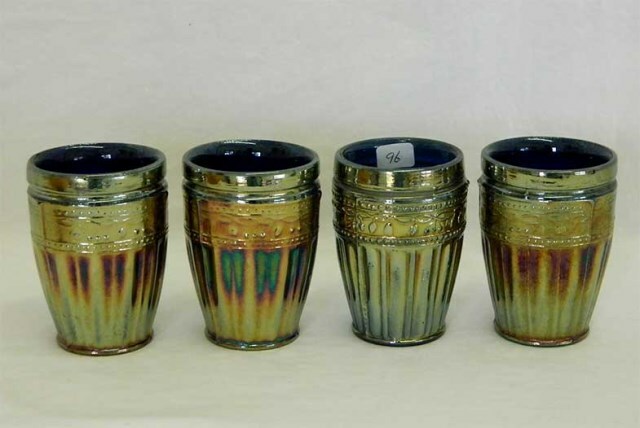 The tumblers in blue and marigold are from the collection of the late John Britt. 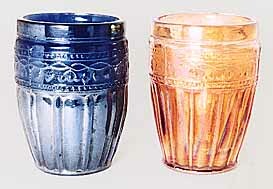 A set of 6 tumblers in blue sold on eBay in 2004 for $71. 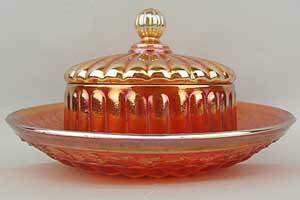 In 2013, King Hoppel sent these photos of his rare Berry Band and Ribs butter dish.